The 'Folie à Deux'-era demo could land on a new FOB EP. Fans of Folie À Deux, hold onto your hats: Pete Wentz has teased what appears to be an upcoming EP release of Fall Out Boy‘s fan-favorite 2008 demo “Lake Effect Kid.” Will the old song get a revamp from Wentz and the boys? Check it out! FOB fans have been rockin’ the demo version of “Lake Effect Kid” since it appeared on Welcome To The New Administration, a pre-release mixtape from the Folie À Deux days. Now, there’s reason to believe a new version may be coming. Does this mean a new studio recording of “Lake Effect Kid” is on the way? Along with possibly other new tracks to round out an EP’s worth of material? 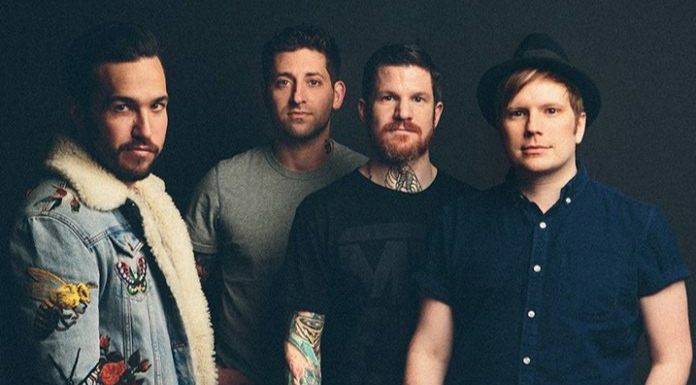 Perhaps Fall Out Boy will continue the M A N I A era with a new/old throwback track. What do you think of Wentz’s to do list? Have you heard the Welcome To The New Administration demo version of “Lake Effect Kid”? Are you ready to rock a brand new version of the Fall Out Boy fave? Sound off in the comments! Previous articleHow well do you know the lyrics to “Don’t Trust Me” by 3OH!3?